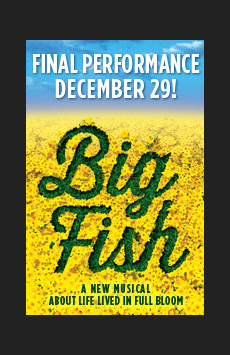 What Is the Story of Big Fish? Big Fish tells the larger-than-life tale of Edward Bloom, a man who leads an extraordinary life—according to the stories he tells his son, Will. But Will, who is getting married and expecting a child of his own, doesn’t think there’s any truth to the extravagant tales his father tells about meeting witches, kissing mermaids or joining the circus. He doesn’t even believe the story of how his father proposed to his mother, Sandra, in a field full of daffodils. When Edward’s health begins to decline, Will visits his father and tries one last time to find out the truth behind the tall tales. As Edward and Will’s relationship becomes increasingly strained, Will must decide whether to accept his father’s wild stories as fact or risk losing him completely.